Google's new Pixel phones may seem like mere Nexuses in disguise, but the company's shift in strategy is far more monumental. Whew -- what a week for Google. In case you were in the midst of deep-sea scuba diving and missed it, the company unveiled a tidal wave of new devices at a splashy event on Tuesday. There's an Eero-like Wi-Fi system, an Echo-like voice assistant gadget, and yet another new and improved Chromecast. 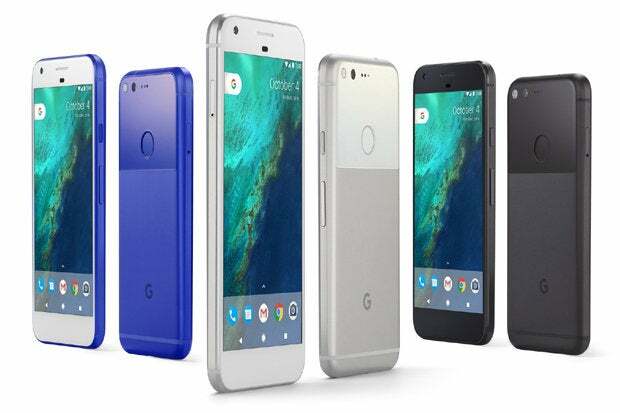 Perhaps most noteworthy, however, are Google's new flagship Android phones -- the Pixel and Pixel XL, which carry the honor of being the first Android phones ever to be designed, engineered, and distributed solely by Google. After years of watching Google work closely with partners to create and sell Nexus phones, that may seem like a subtle distinction or even a game of semantics. But trust me: The shift is anything but insignificant. In fact, this new effort represents a renewed attempt at what Google sought to do with Motorola when it bought that company in 2011 -- only with even more ambition and without the accompanying complications. To get at the significance of Google's new Pixel program, we first have to explore what exactly sets it apart from the company's previous Nexus efforts. Pixel, as astute Google-watchers know, isn't actually a new brand; it's been around since 2013, when Google launched its original Chromebook Pixel laptop. Since then, the Pixel name has represented high-end hardware designed entirely by Google -- though up til now, only in the realm of laptops and tablet convertibles. Nexus, on the other hand, stood for products created in partnership with a rotating cast of Android manufacturers -- typically using an existing handset model as a base and then tweaking it to make it feel like a Google original. According to Android VP of Engineering Dave Burke, speaking to Bloomberg, Google's hand in Nexus hardware development generally started once a device was already about 90% done. So for the first time, what we're seeing now with the Pixel really is the long-fabled "Google phone" -- a high-end device where Google itself does everything from picking out components and managing the supply chain to designing, engineering, and fully managing distribution. Google is even making its own accessories, which may help with the lackluster availability we've seen in that department for Nexus devices in the past. Just as crucially, Google is now managing and paying for the marketing of these devices on its own -- something that might explain the unusually strong mainstream push that started well before the new Pixel phones were even unveiled. From top to bottom, down to every last detail, Google now has complete control of the final product and how it's presented. Stop and let that sink in for a second. Google, the software and services company, is now a full-fledged phone manufacturer -- going head to head with all the other companies that make and sell Android phones. Only it, of course, also controls the Android operating system along with all of the associated Google services. Competition aside, it's no different from what Apple does with its iPhones: Both companies are creating and managing an end-to-end experience, and both companies are outsourcing the actual assembly of the phones to a third-party manufacturer (known in the biz as an "ODM," or original design manufacturer). With Apple, it's Foxconn; with Google, in this instance, it's HTC. According to Google, the relationships are identical -- and HTC's involvement here is as a contracted manufacturer and nothing more. So why would Google bother making such a bold shift? Simple: to gain control. And to be able to use that control in a way that actually reaches the masses on a scale Nexus devices were never able to achieve. The biggest practical difference between Nexus and Pixel is that Nexus, at its core, was meant to deliver a "pure Android" experience -- a clean and unmodified version of Android as Google designed it, without any third-party modification or interference. Though that mission become somewhat muddied over the years, that was still the program's ostensible goal. Pixel, on the other hand, is overtly poised to provide a "pure Google" experience -- an extra Googley take on Android that puts Google services and concepts front and center. It's "the best of Google," as the Pixel marketing materials explain it. "The very best of Google"
"Simple, smart, and fast experiences"
"Everything is simple and easy to use"
"What really makes it come to life is how the hardware and software work together"
"A great, simple user experience"
Google has deliberately built a firewall between the hardware and Android divisions so other phone makers' proprietary technology doesn’t leak. Lockheimer ... says his group will treat the hardware team like any customer. "Samsung is a very important partner, as is LG, Huawei and so on," he says. "Rick is an important partner. ... Everyone is treated the same, including Rick’s team." That language is remarkably similar to the equal-treatment assurances we heard back when Google was in the midst of acquiring Motorola. And if Osterloh's name sounds familiar, by the way, it should: In no small coincidence, he's the once-former Google exec who led Motorola during its Google-owned era and into its Lenovo ownership transition. Think about it: Google bought Motorola because it wanted to produce and control its own Android phones. That obviously didn't work out. Now, it's doing the same thing -- but completely on its own terms and without any pre-existing parameters or limitations. This time, the phone-making organization is very much a part of Google itself -- not a sprawling separate company with its own baggage -- and it'll have advantageous early access to Google-developed technologies like the new Google Assistant, which is launching first on the Pixel phones and playing a prominent role in the devices' interface. Also notably prominent in the new Pixel phones are connections to core Google efforts beyond just Assistant -- like integrated support for the new Daydream VR platform, a strong incentive to get you in the habit of using Google Photos for image backup, and a not-so-subtle nudge to get you on board with the Google Duo video calling service (which could probably use any help it can get to build up a userbase and become viable). 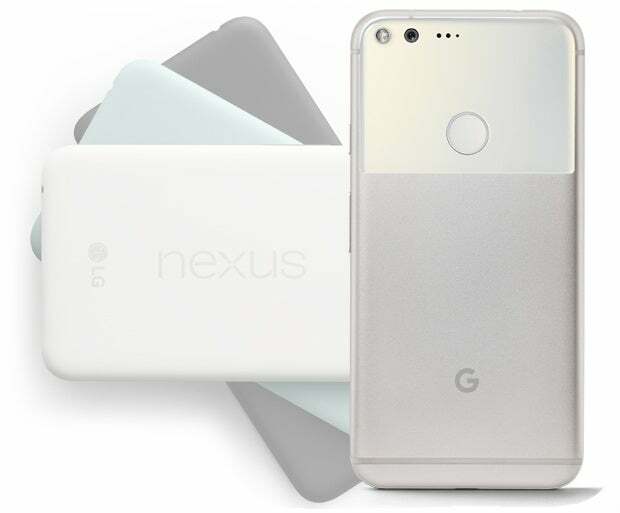 And, of course, just like their Nexus predecessors, Pixel phones will receive future OS updates rapidly and reliably as soon as they're released -- something no third-party manufacturer has consistently come close to matching. That means the devices will always have the latest and greatest Google software along with timely security patches -- another sore point between Google and its not-always-so-efficient ecosystem of phone-making cohorts. Aside from the update issue, having its own vehicle is critical to Google for one simple reason: Even if other phone manufacturers commit to using Android, they frequently take Google's OS-adjacent services out of the spotlight and prioritize their own competing services instead. Elements like the new Assistant might be hard to find or implemented in a non-ideal way on a phone by LG or Samsung. And when it comes to support for side platforms like Daydream VR, manufacturers have no known obligation to feature Google's efforts -- something that could be troubling with certain powerful high-end phone manufacturers (cough, cough) that want to promote their own proprietary alternatives. Plain and simple, with the way Google's projects and priorities are evolving, Android by itself -- while still presumably valuable to Google -- is no longer guaranteed to address all of the company's future-looking goals. And Google is no longer willing to sit back and watch helplessly as others manipulate and distort its broader vision. Rick [Osterloh]’s team will use our platform, but they will also work very closely with Google’s Search team or the Maps team or the Assistant team in ways that perhaps other OEMs may not want to. Other OEMs may want to differentiate and do their own thing -- their own Assistant, for example. And there you have it. Pixel is picking up where Motorola left off and giving Google a mainstream-ready vessel for its complete mobile vision. It's a huge step for Google and a huge new category of devices for us as consumers to consider -- one that takes the holistic and cohesive top-to-bottom user experience Nexus phones always strived to deliver and cuts out the middle man in order to get there more effectively. Looking forward, one could imagine such an arrangement also paving the way for some interesting possibilities with the rumored next-level "merging" of Chrome OS and Android -- something that didn't come up at this event but could still be in the works for the future. What remains to be seen is if Google can use its newfound control to make Pixel phones matter in a way Nexus devices never did -- as mainstream consumer products and not just niche-level devices for enthusiasts and those "in the know." I don't think anyone would have doubted that Google could go out on its own and create a fantastic Android phone. The real challenge is what comes next.